Issues related to inheritance can be a major source of family stress, and in the worst instances, can even lead to siblings becoming estranged for life. All those hurt feelings left over from childhood that fester throughout life, the ones about which sibling gets saddled with the most unwanted responsibilities and which one Mom and Dad love the most, become magnified when it is time to settle a deceased parent’s estate. The responsible thing to do is to talk to your family about these issues early on, preferably one-on-one. Let each person have his or her say, but do not let anyone bully you into changing your estate plan; you have the final decision. The conversations can be difficult, but here are some strategies for navigating sensitive issues. 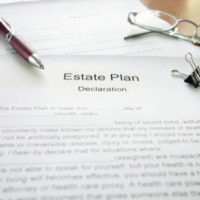 An estate and probate lawyer can help you resolve some of these common family conflicts related to estate planning. POSSIBLE SOLUTION: Talk to your spouse privately first. Disputes between a second wife and the children from the husband’s first marriage are popular tabloid headlines and movie plot devices. In real life, these disputes may be prevented through rational, objective behavior. In Florida, a spouse is the only relative it’s virtually impossible to disinherit. If you or your spouse have children from previous marriages, talk to your spouse about which assets you want your children to inherit. Without a will, your spouse gets what Florida law dictates. The best way to avoid trouble is for you and your spouse to sign an marital agreement showing that you have mutually decided which assets he or she will and will not inherit from you. POSSIBLE SOLUTION: Does one of your children live within his means while the other lives in a constant cycle of conspicuous consumption and debt? You have the right to decide who inherits what. Talk to each of your children individually about which assets you plan to leave to them. They might be upset that they are not getting more, but it’s better if they start making peace with it now, instead of a battle erupting out of nowhere during probate. POSSIBLE SOLUTION: It is your right to leave assets to anyone you choose, including your siblings, nieces or nephews, cousins, or even people who are not related to you by blood. The only person who has legal rights which can prevent this is your spouse, so you should be honest with him or her from the beginning, so that your spouse does not feel shocked and betrayed during probate. Having a detailed will and estate plan is one of the best ways to give your family the gift of a harmonious, stress-free holiday. Contact Mark R. Manceri in Pompano Beach, Broward County, Florida to discuss your questions with an estate and probate lawyer.